Rick Cox has been in the overhaul and repair business, working with aircraft hydraulics systems & much more, since he finished his military time in the 82nd Airborne in 1988. He owns a family-operated FAA repair station with an inventory of component parts ready for immediate shipment. 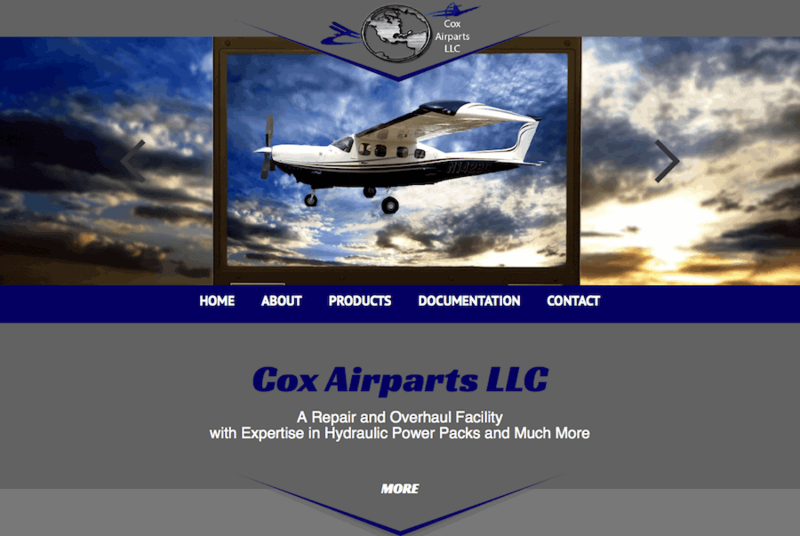 Because he serves clients from around the world, his website needs to be up-to-date and present product images, information, and related documents.The Cox Airparts website meets all of these needs with a colorful, easily scrollable style that is perfectly designed for viewing on all screen sizes: phones, tablets, and computers. Visit the site at the link below.